Announcing AWS Snowball Edge and AWS Snowmobile: Collect, Analyze and Move Extremely Large Data Sets. Announcing Amazon Shield: Protect Web Applications from DDoS Attacks. Announcing Lambda @ the Edge. Announcing Amazon EC2 Systems Manager – Hybrid Cloud Management at Scale. Fourteen (14) external and internal contributors worked together to create this edition of the AWS Week in Review. If you would like to join the party (with the possibility of a free lunch at re:Invent), please visit the AWS Week in Review on GitHub. The AWS Podcast released an episode interviewing Abby Fuller from Startup www.airtime.com. The AWS Enterprise Blog talked about Getting Started with the Cloud. The AWS Security Blog showed you How to Create a Custom AMI with Encrypted Amazon EBS Snapshots and Share It with Other Accounts and Regions. The AWS Government, Education, & Nonprofits Blog wrote about Exatype: Cloud for HIV Drug Resistance Testing. The Backspace Blog wrote about using CloudFront with next generation frameworks for dynamic data in Super Fast Dynamic Websites with CloudFront, EC2 and NodeJS – Part 1. The A Cloud Guru blog wrote about AWS Certification: How many candidates will pass today? Powerupcloud showed you how to Automate Multiple Domains Migration to Route53 using Nodejs. Stelligent Blog wrote about One-Button Everything in AWS. CloudCheckr wrote about Concrete Steps to Reduce Public Cloud IaaS Expenses. Soenke Ruempler blogged about New AWS CloudFormation YAML syntax and variable substitution in action. AWS Community Hero Eric Hammond provided a guide to deleting a Route 53 hosted zone and all DNS records using aws-cli. The AWS Database Blog talked about Configuring the AWS Schema Conversion Tool (SCT). Cloudadvisors wrote about Docker on AWS with ECS and ECR(Part 1). Flux7 showed you How to Convert a CloudFormation Template from JSON to YAML. We announced the M4.16xlarge Instance Type. We announced that the Amazon Linux AMI 2016.09 is Now Available. We shared the AWS Hot Startups for September 2016. We announced the AWS Pop-up Loft and Innovation Lab in Munich. Sander van de Graaf wrote about How to build a Serverless Screenshot Service with Lambda. The AWS Startup Collection blog wrote about Serverless Architectures with Java 8, AWS Lambda, and Amazon DynamoDB in part 1 of their series. The Batchly blog wrote about 4 points to consider in your spot bidding strategy. The Concurrency Labs Blog wrote about How to Operate Reliable AWS Lambda Applications in Production. Trainline Engineering wrote about Trainline Environment Manager. The AWS Partner Network Blog wrote about The Evolution of Managed Services in Hyperscale Cloud Environments. We announced the AWS Answers page for help architecting your solutions. vBrownBag continues its AWS-SA Associate Certification Exam Study Webinar Series, this time covering Domain 4.0 with Zach Zeid of Ahead. ParkMyCloud listed 5 Reasons to Turn Your Cloud Servers Off When You’re Not Using Them. Thinking Aloud discussed Securing SQL Server in EC2: Certificates, Ports, and Gotchas. Parsec described The Technology Behind A Low Latency Cloud Gaming Service. We announced that an AWS Region is Coming to France in 2017. We launched the P2 Instance Type, with up to 16 GPUs. 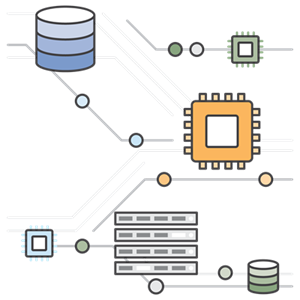 We made an EC2 Reserved Instance Update, featuring Convertible RIs and a Regional Benefit. We welcomed the Fall 2016 AWS Community Heroes. We announced the First Annual Alexa Prize – $2.5 Million to Advance Conversational AI. We announced that Amazon Cognito is Available in Asia Pacific (Seoul) and EU (Frankfurt) Regions. Erik Meinders wrote a blog Serverless EC2 scheduler using Lambda and Cloudwatch events..
CloudHealth Technologies published a 2-part blog on the new RI types and features. This is Part 1. The AWS Government, Education, & Nonprofits Blog wrote about Whiteboard with an SA: Tags. We published The ISV Business Case for Building SaaS on Amazon Web Services (AWS), an August 2016 commissioned study conducted by Forrester Consulting on behalf of AWS. Flux7 wrote A Review of AWS CloudFormation Cross-Stack References. I advised you to Prepare for re:Invent 2016 by Attending our Upcoming Webinars. We announced that Amazon Redshift has a New Data Type with Support for Time Zones in Time Stamps. We announced that Amazon Elastic Transcoder is Now Available in the Asia Pacific (Mumbai) Region. CloudHealth Technologies published a 2-part blog on the new RI types and features. This is Part 2. We enabled P2 instance support in CfnCluster. Details here. The Customer Success Team at Cloudability explains how Amortizing Reserved Instance Costs Works, and why it can matter to your organization. SingleStone Consulting wrote about secrets management in AWS with KMS and S3. cloudonaut.io” wrote about marbot, our submission to the AWS Serverless Chatbot Competition. Scott Johnson wrote a tutorial on how to use Ansible to automate installation of the CloudWatch Memory Monitoring scripts. Colin Percival wrote about EC2-related improvements in the upcoming FreeBSD 11.0-RELEASE. dynamodb-continuous-backup sets up continuous backup automation for DynamoDB. lambda-billing uses NodeJS to automate billing to AWS tagged projects, producing PDF invoices. vyos-based-vpc-wan is a complete Packer + CloudFormation + Troposphere powered setup of AMIs to run VyOS IPSec tunnels across multiple AWS VPCs, using BGP-4 for dynamic routing. s3encrypt is a utility that encrypts and decrypts files in S3 with KMS keys. lambda-uploader helps to package and upload Lambda functions to AWS. AWS-Architect helps to deploy microservices to Lambda and API Gateway. awsgi is an WSGI gateway for API Gateway and Lambda proxy integration. EBS_Scripts contains some EBS tricks and triads. landsat-on-aws is a web application that uses Amazon S3, Amazon API Gateway, and AWS Lambda to create an infinitely scalable interface to navigate Landsat satellite data. Keynote – Future of Enterprise IT. Getting Started with Amazon Aurora. Getting Started with The Hybrid Cloud – Enterprise Backup and Recovery. Protecting Your Data in AWS. DevOps on AWS – Deep Dive on Continuous Delivery. DevOps on AWS – Deep Dive on Infrastructure as Code. Getting Started with Amazon WorkSpaces. Creating Your Virtual Data Center. Breaking Down the Economics and TCO of Migrating to AWS. Keeping Cloud Transformations on Track. Getting Started with AWS Security. Getting Started with Windows Workloads on EC2. Another Day, Another Billion Packets. Building Real-Time Data Analytics Applications on AWS. Getting Started with Managed Database Services on AWS. Getting Started with AWS IoT. Serverless Geospatial Mobile Apps with AWS. Coding Apps in the Cloud to Reduce Costs up to 90%. Addressing Amazon Inspector Assessment Findings. Automating Compliance Defense in the Cloud. Overview and Best Practices for Amazon Elastic Block Store. Building a Recommendation Engine Using Amazon Machine Learning in Real-time. Create Cloud Services on AWS. Best Practices of IoT in the Cloud. Programming the Physical World with Device Shadows and Rules Engine. Overview of IoT Infrastructure and Connectivity at AWS & Getting Started with AWS IoT. Optimize Developer Agility & App Delivery on AWS. The New Normal: Benefits of Cloud Computing and Defining your IT Strategy. Pivotal Greenplum Database (BYOL), sold by zData Inc.
October 6 (Hull, England) – AWS User Group Hull: Running Containerised Apps on AWS. October 10 (Oslo, Norway) – AWS User Group Norway: Say Hello to Alexa!. October 10 (Seoul, Korea) – AWS Partner-led Hands-on Labs. October 11 (Redwood City, California, USA) – AWS Bay Area Meetup #21. A focus on Spinnaker from Netflix. October 13 (Edinburgh, Scotland) – 7th AWS User Group Edinburgh Meetup. October 13 (Seoul, Korea) – AWS Enterprise Summit. October 14 (Seoul, Korea) – AWS Lambda Zombie Workshop. Linux Cloud Engineer at Red Wire Services (100% AWS Role, AWS Advanced Consulting Partner). Teridion Sales Engineer (Cloud Optimized Routing for SaaS). 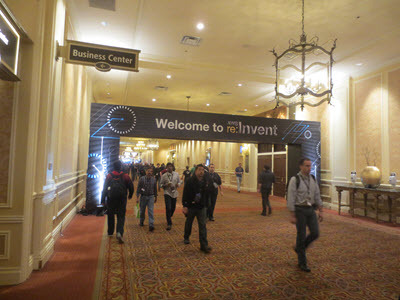 Prepare for re:Invent 2016 – Attend our Upcoming Webinars! We are 60 days away from AWS re:Invent 2016! I’m already working on a big pile of blog posts and my colleagues are working night and day to make sure that you have plenty of opportunities to learn about our services. With two new venues, hands-on labs, certification exams, a full day of additional content, and the re:Source Mini Con (full day technical deep dives), and twice as many breakout sessions as last year, I am confident that you will have plenty to do during the day. After that, we have some great after-hours experiences on the agenda, including the famous wing eating contest, and expanded Pub Crawl, a Harley Ride, the re:Play party, and the re:Invent 5k (that’s kilometers, not kilobytes). In order to make sure that you are fully prepared before you arrive in Las Vegas, we have put together three webinars. These are free and optional, but I’d recommend attending in order to make sure that you are positioned to make the most of your trip. October 12, 2016 – 9 to 10 AM. October 12, 2016 – 6 to 7 PM. October 27, 2016 – 1:30 to 2:30 PM. October 17, 2016 – 9 to 10 AM. October 17, 2016 – 6 to 7 PM. Know Before You Go – The webinar will provide you with the big picture: keynotes, breakout sessions, training and certification, re:Invent Central, networking opportunities, and our popular after-hours activities. November 16, 2016 – 9 to 10 AM. November 16, 2016 – 5 to 6 PM. PS -As we get closer to the big event, I know that many past attendees and AWS Partners will be publishing how-to guides of their own. Time permitting (hah!) I’ll put together a round-up of these posts. At the beginning of the month I blogged about the value of continuing education and shared an infographic that ilustrated the link between continued education and increased pay, higher effectiveness, and decreased proclivity to seek other employment. The pace of AWS innovation means that there’s always something new to learn. One way to do this is to attend some of our webinars. We design these webinars with a focus on training and education, and strongly believe that you can walk away from them ready, willing, and able to use a new AWS service or to try a new aspect of an existing one. 9:00 AM –Deep Dive: Amazon Redshift for Big Data Analytics. 11:30 AM – Monitoring Containers at Scale. 9:00 AM – Getting Started with Cognito User Pools: Easily Add User Sign-Up and Sign-In to Your Apps. 11:30 AM – Best Practices to Migrate Your Data Warehouse to Amazon Redshift. 1:00 PM – Log Analytics with Amazon Elasticsearch Service. 9:00 AM – AWS Device Farm and Best Practices for Test Automation. 11:30 AM – Real-Time Data Processing Using AWS Lambda. 10:30 AM – AWS Services Overview. 9:00 AM – Automating Compliance Defense in the Cloud. 10:30 AM – AWS Infrastructure as Code: Best Practices with AWS CloudFormation. Noon – Overview and Best Practices for Amazon Elastic Block Store. 9:00 AM – Addressing Amazon Inspector Assessment Findings. 10:30 AM – Coding Apps in the Cloud to reduce costs up to 90%. Noon – Amazon Aurora – New Features. 9:00 AM – Getting Started with AWS IoT. 10:30 AM – Getting Started with Managed Database Services on AWS. Noon – Building Real-Time Processing Data Analytics Applications on AWS. PS – Check out the AWS Webinar Archive for more great content! Everyone on the AWS team understands the value of educating our customers on the best ways to use our services. We work hard to create documentation, training materials, and blog posts for you! We run live events such as our Global AWS Summits and AWS re:Invent where the focus is on education. Last but not least, we put our heads together and create a fresh lineup of webinars for you each and every month. 9:00 AM – Introducing Amazon EMR Release 5.0: Faster, Easier, Hadoop, Spark, and Presto. 10:30 AM – Best Practices for Data Center Migration Planning. Noon – Best Practices for Running SAP HANA Workloads with Amazon EC2 X1 Instances. 9:00 AM – Amazon Aurora for the Enterprise: Lower Cost, Better Performance. 10:30 AM – Getting Started with Serverless Architectures. Noon – Best Practices for Building a Data Lake with Amazon S3. 9:00 AM – Managing IoT and Time Series Data with Amazon ElastiCache for Redis. 10:30 AM – Running Microservices and Docker on AWS Elastic Beanstalk. Noon – Getting Started with Microsoft SQL Server 2016 on Amazon EC2. 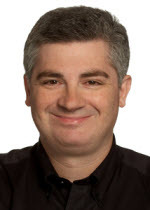 9:00 AM – Introduction to Amazon Kinesis Firehose. 10:30 AM – Building Serverless Chat Bots. Noon – Continuous Delivery to Amazon ECS. 9:00 AM – Stream Data Analytics with Amazon Kinesis Firehose & Redshift. 10:30 AM – Getting Started with AWS Device Farm. Noon – AWS IoT Button. Noon – SQL to NoSQL: Best Practices with Amazon DynamoDB. 9:00 AM – Mobile App Testing with AWS Device Farm. 10:30 AM – Amazon EC2 Masterclass. Noon – Getting Started with IoT. 9:00 AM – Intro to Elastic File System. 10:30 AM – Getting Started with Amazon Redshift. Noon – Running fast, interactive queries on petabyte datasets using Presto. 10:30 AM – Best Practices for Managing Security Operations on AWS. Are you ready to launch and connect to your first EC2 instance? Do you want to learn how to use Amazon Simple Storage Service (S3) to store and share files? Our getting started webinar will show you how to do both. Webinar: Getting Started with AWS (9 – 10 AM). Do you want to learn how to use Apache Spark to analyze real-time streams of data on an Amazon EMR cluster? Do you want to know how to use Spark as part of a system that includes Amazon DynamoDB, Amazon Redshift, Amazon Kinesis, and other big data tools? This webinar will show you how to use Spark to address common big data use cases. Webinar: Best Practices for Apache Spark on AWS (10:30 – 11:30 AM). Are you interested in running a commercial relational database in the cloud? Do you want to know more about best practices for running single and multiple database instances, or do you have questions about costs and licensing? Attend this webinar to learn more about Amazon RDS running Oracle. Webinar: RDS for Oracle: Quick Provision, Easy to Manage, Reduced Cost (Noon – 1 PM). In today’s real-time world, going from raw data to insights as quickly as possible has become a must. Fortunately, a number of AWS tools can help you to capture, store, and analyze real-time streaming data. Attend this webinar to learn about Amazon Kinesis Streams, Lambda, and Spark Streaming on Amazon EMR. Webinar: Getting Started with Real-Time Data Analytics on AWS (9 – 10 AM). As you move your business and your applications to the cloud, you should also look at modernizing your development and deployment practices. For example, many AWS customers use tools like AWS CodePipeline and AWS CodeDeploy to implement continuous delivery. Attend this webinar to learn more about what this means and how to put it in to practice in your own organization. Webinar: Getting Started with Continuous Delivery on AWS (10:30 – 11:30 AM). Now that Amazon S3 is a decade old, we have a wealth of experience to share about the best ways to use it for backup, compliance, archiving, and many other purposes. This webinar will share best practices for keeping your data safe, and will also provide an overview of several different transfer services. Webinar: S3 Best Practices: A Decade of Field Experience (Noon – 1 PM). AWS Lambda brings some new flexibility to the development and deployment process. When used in conjunction with AWS Storage Gateway, it can be used as the basis for an automated development workflow that easily supports distinct development, staging, and production environments. Attend this webinar to learn more. Webinar: Continuous Delivery to AWS Lambda (9 AM – 10 AM). Amazon Aurora is a MySQL-compatible database engine that can boost performance, reliability, and availability while reducing the total cost of ownership. Join this webinar to learn more about Aurora and to better understand how to migrate your existing on-premises or cloud-based databases to it. Webinar: Migrating Your Databases to Amazon Aurora (10:30 – 11:30 AM). Containers and microservices are both a natural fit for the cloud. Attend this webinar to learn more about the challenges that might arise and the best practices to address them. Webinar: Running Microservices on Amazon ECS (Noon – 1 PM). Last month I challenged you to learn something new in 2016 and offered up our January webinar series as a starting point. We’ve put together another strong lineup for February and I’d like to share it with you now. As always, the webinars are free but space is limited and you should sign up ahead of time if you would like to attend. Many developers are using containers to simplify the packaging, deployment, and operation of their applications. This deep-dive webinar will show you how to use Amazon EC2 Container Service to simplify the use of Docker in production. Webinar: Amazon EC2 Container Service Deep Dive (9 – 10 AM). Blog Post: Amazon EC2 Container Service – Container Management for the AWS Cloud. Webinar: Introduction to AWS Database Migration Service (10:30 – 11:30 AM). Background Info: Now in Preview: AWS Database Migration Service. Webinar: Using AWS Cloud Storage as the Foundation for Your Hybrid Strategy (Noon – 1 PM). Background Info: What is Cloud Storage? Are you eager to get business value from your Big Data projects? Attend this webinar to learn how your peers and competitors are doing it! Webinar: 451 Research and AWS: Achieving Business Value with Big Data (9 – 10 AM). Webinar: Introduction to DynamoDB – The Fully-Managed NoSQL Service on AWS (10:30 – 11:30 AM). Blog Plost: Amazon DynamoDB – Internet-Scale Data Storage the NoSQL Way. Building mobile apps? Learn how to use AWS Device Farm to test them! Webinar: Automate Your App Tests with Appium and AWS Device Farm (Noon – 1 PM). Blog Post: AWS Device Farm – Test Mobile Apps on Real Devices. New environments bring new security challenges! If you are building IoT (Internet of Things) applications, this webinar is a must! Webinar: Best Practices for IoT Security in the Cloud (9 – 10 AM). Webinar: Introducing VPC Support for AWS Lambda (10:30 – 11:30 AM). Blog Post: Access Resources in a VPC from Your Lambda Functions. Webinar: Architectural Patterns for Big Data on AWS (Noon – 1 PM). Background Info: Big Data on Amazon Web Services. Webinar: Hands-On Lab: Windows Workloads on AWS (9 – 10:30 AM, March 1). Webinar: Hands-On Lab: Windows Workloads on AWS (9 – 10:30 AM, March 3). Background Info: Getting Started with Microsoft Windows on AWS. PS – Your suggestions for future webinars are welcome! Leave me a comment and I will share it with the team. Did you resolve to learn something new in 2016? If so, you should attend an AWS webinar! Each month, we run a series of webinars that are designed to bring you up to speed on the latest AWS services & features, and to make sure that you are aware of the best ways to put them to use. The webinars are conducted by senior AWS Product Managers and Solution Architects and often include a guest speaker from our customer base. There are several different ways to deploy your applications on AWS including AWS Elastic Beanstalk, AWS CodeDeploy, and Amazon EC2 Container Service. This webinar will help you to understand the strengths of each service and provide you with a framework to help you to decide which one to use. Webinar: Introduction to Deploying Applications on AWS (9 – 10 AM). AWS IoT is a managed cloud platform that lets connected devices interact with cloud applications and other devices. This webinar will show you how constrained devices can send data to the cloud and receive commands back to the device. AWS provides many options and tools that are a great fit for your big data needs. This webinar will provide you with an overview of the options including Hadoop, Spark, and NoSQL databases. Webinar: Getting Started with Big Data on AWS (Noon – 1 PM). Blog Post: Amazon EMR Update – Apache Spark 1.5.2, Ganglia, Presto, Zeppelin, and Oozie. Amazon Aurora is a fast and cost-effective relational database designed to be compatible with MySQL. Webinar: Amazon Aurora for Enterprise Database Applications (9 – 10 AM). Blog Post: Amazon Aurora – New Cost-Effective MySQL-Compatible Database Engine for Amazon RDS. Webinar: Cloud Data Migration: 6 Strategies for Getting Data into AWS (10:30 – 11:30 AM). Many developers are using containers to simplify the packaging, deployment, and operation of their applications. This webinar will show you how to use Amazon EC2 Container Service to simplify the use of Docker in production. Webinar: Introduction to Docker on AWS (Noon – 1:00 PM). Blog Post: Amazon EC2 Container Service (ECS) – Container Management for the AWS Cloud. Machine Learning helps you to extract value from data. This webinar will show you how to build machine learning models and use them to make predictions. Webinar: Building Smart Applications with Amazon Machine Learning (9 – 10 AM). Blog Post: Amazon Machine Learning – Make Data-Driven Decisions at Scale. Webinar: Build IoT Backends with AWS IoT & AWS Lambda (10:30 – 11:30 AM). Blog Posts: AWS Lambda – Run Code in the Cloud and AWS IoT – Cloud Services for Connected Devices. Webinar: Managing your Infrastructure as Code (Noon – 1 PM). Blog Post: New AWS Tools for Code Management and Deployment.